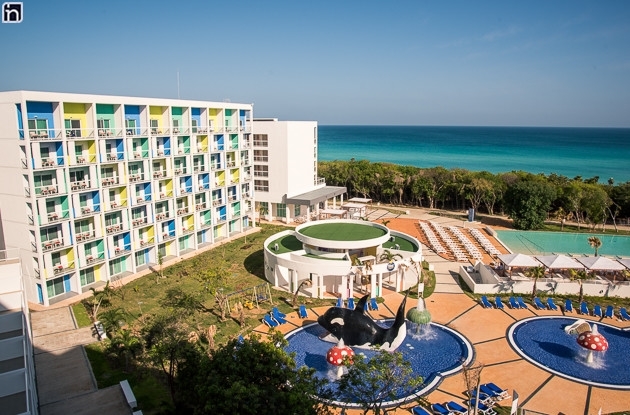 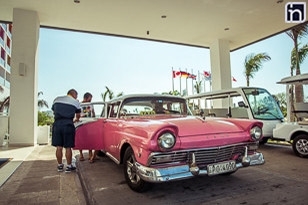 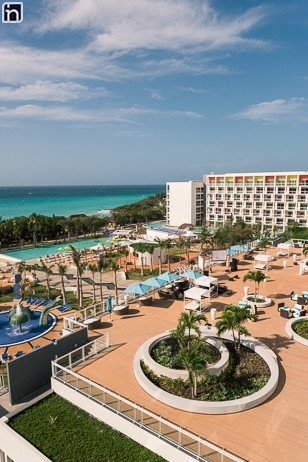 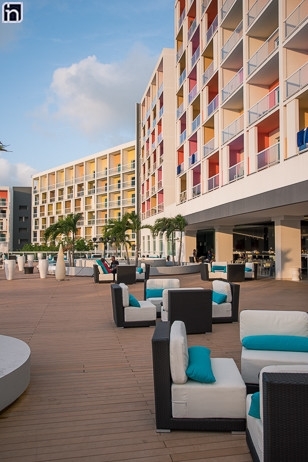 Hotel Iberostar Bella Vista is a brand new 5-star all-inclusive in Varadero (opened in May 2017), Cuba’s main tourist destination. 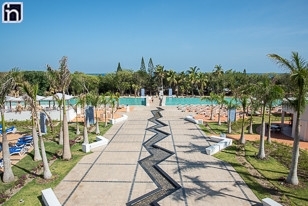 Its privileged waterfront location, beautiful gardens, sandy beach and thousands of palm trees make it a perfect option for a fun filled family holiday or a romantic wedding and honeymoon. 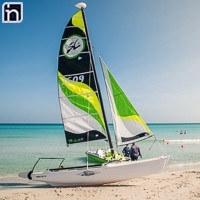 It is only 10 km away from downtown Varadero, 20 km from Varadero International Airport and 140 km from Havana International Airport. 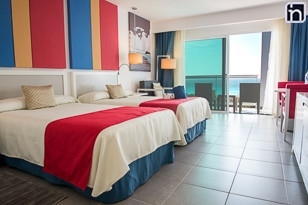 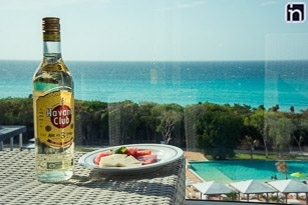 At Iberostar Bella Vista there are 827 air-conditioned and spacious rooms, distributed in three sections: Hotel, Families and Elite (adults-only); all with private bathrooms, satellite TV, international telephone service, Internet, safe. 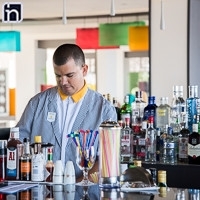 The all inclusive includes a wide selection of national and international drinks like soft drinks, juices, beers, cocktails, coffee, tea, liqueurs, spirits and house wine by the glass; a restaurant with 3 different buffets, 2 for adults (with show cooking) and one for children; 4 à la carte restaurants: Gourmet with panoramic view located at the highest level of the hotel, Seafood, Japanese and Italian; 1 air-conditioned beach restaurant; 1 pool snack bar and 6 bars distributed among the lobby (where you can also use WiFi), the pools and the beach areas. 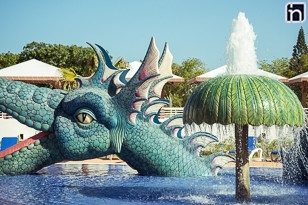 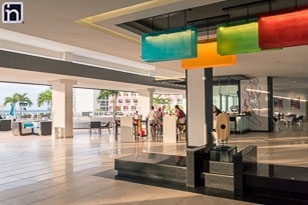 At Iberostar Bella Vista hotel you will find a wide range of day & night entertainment programs: water sports, fitness centre, swimming pools, tennis court, mini-club, animation theatre, baby-sitter, entertainment theatre, boutique, souvenir & cigar shop. 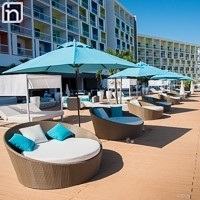 And if you prefer, you can simply relax enjoying the peace and quietness of this heavenly tropical oasis.